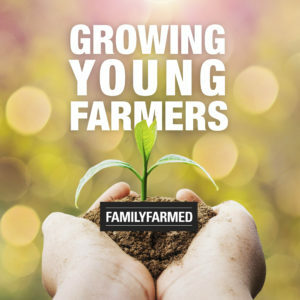 “Growing Young Farmers” is one of the most important themes for our work at FamilyFarmed. In fact, Direct Market Success, our new farmer training manual and workshop program, is aimed strongly at young and other beginning farmers, who typically build their first customer bases through farmers markets, Community Supported Agriculture (CSA) subscriptions and other direct market platforms. The increase in young people seeking to grow food — a number of whom have no previous ties to farming — is an encouraging sign of the rise and relevance of the Good Food movement. And it is also a matter of great national urgency at a time when the U.S. Department of Agriculture reports that the average age of the nation’s farmers is nearly 60. That is why FamilyFarmed is so pleased that the 2017 Beginning Farmer of the Year Award ceremony, presented by the Routes to Farm alliance, will kick off our Good Food Trade Show and Policy Conference on Friday, March 17 at the UIC Forum, located on the University of Illinois at Chicago campus. The five finalist farms are profiled below. The event is also the subject of an article published by Fooditor, which can be accessed here. Routes to Farm is a Chicago-centric collaboration of 13 farmers and farmer alliances who are working to help growers, serving the regional foodshed, to produce food by sustainable methods. Routes to Farm started in 2015 and is coordinated by Angelic Organics Learning Center. This network strengthens local food systems by providing farmers with access to training sessions, resources and qualified employees; and by providing farmer alliances with a platform to share best practices for training and outreach. By facilitating connections between farmers and farmer alliances, Routes to Farm also helps members overcome possible agricultural setbacks. Routes to Farm has taken over the Beginning Farmer of the Year Award — first presented in 2013 at FamilyFarmed’s Good Food Festival & Conference — from the Angelic Organics Learning Center and the Upper Midwest CRAFT farmers’ alliance. Finalists are selected by their farmer alliance. The winning farmer must be in his or her first 10 years of farming, be a member of at least one farmer alliance in Routes to Farm, and inspire through innovation and leadership in farming. Finalists for the award must submit a short video demonstrating their qualifications. To learn more about the Good Food Trade Show and Policy Conference, or to buy tickets, please visit the event website by clicking here. You can also obtain information on the site about the Good Food Financing & Innovation Conference on Thursday, March 16 and the Good Food Festival on Saturday, March 18. The winner will receive a $1,000 honorarium, and will select a Mentor Farmer of the Year who will be honored at the same ceremony and will receive a $200 honorarium. All finalists receive a $100 honorarium. “Mama” Janet Zintambila focuses on growing African varieties of produce at her farm in the Bloomington-Normal area in downstate Illinois. After moving from Kenya to the United States, Mama Zintambila had a realization. “It finally hit me that we’ve got to share our culture, and personally, I have done it through the food,” she said. 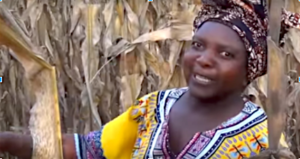 She farms to provide for local residents with African roots, but also for other groups. She wants to educate Americans about the nutritional values and unique tastes of African vegetables, and is working to do so through farmers markets and community groups. Mama Zintambila shares recipes as well as produce, and believes that the personal touch helps create repeat customers. 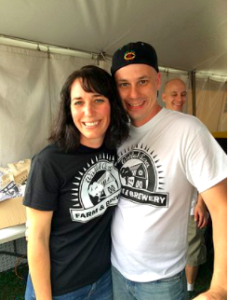 Penny and Nate Peterson operate Wishful Acres Farm & Brewery in rural Lena in north-central Illinois. More specifically, Penny runs the farm and Nate runs the brewery. “Business started very small with just a few wishes and dreams in a backyard garden that (Penny) grew as a stay-at-home mom… until 2011, when (she and Nate) found and purchased a farm,” says Routes to Farm. What started as a hobby for Penny grew into a business that connected her with local CSA program and Upper Midwest CRAFT, which helped drastically expand the business. In 2016, the Petersons opened a microbrewery on the property, which has received tremendous support from the community. 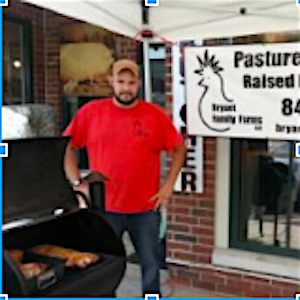 Nicholas Bryant’s pastured poultry operation is in Mineral Point in southwest Wisconsin. He “wanted to supply customers with fresh eggs, right to the customer from the chickens, not 3, 4, or 5 months old, like eggs that come from the grocery store,” according to Routes to Farm. The original goal of providing fresh eggs has expanded; The farm now raises turkeys, chickens, rabbits and a variety of ducks. Nicholas is working to implement a guinea fowl program, and is expanding into a property that will allow him to move beyond poultry by raising up to 50 goats at a time. Bryant advocates that aiming high and working hard will help people reach their goals. 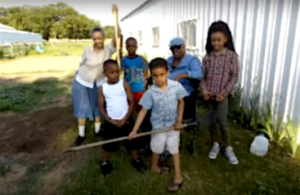 Diana McDonald, known as Lady Di, runs the Youth Center and Academy Farm in Pembroke, Illinois, where the majority of the population is African-American and where sustainable agriculture projects have taken the lead in addressing the township’s endemic high levels of poverty. Diana is working to start young, leading kids in planting, landscaping and cultivating their own plot of land, which teaches them how to run a farm “from seed to market.” The youth center children successfully raised a variety of vegetables, herbs, flowers, chickens and eggs in 2016. The students develop creative methods to grow despite inclement weather and to naturally avoid weeds. Lady Di has “a natural ability to grow things, including (her) kids’ enthusiasm and determination,” says Routes to Farm. Chase Sanert operates Sugar Grove Family Farms out of Greenview, about 25 miles north of Springfield, Illinois’ capital. 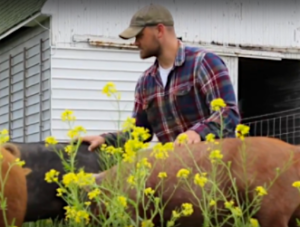 The 150-acre farm has been in his family for 73 years, and focuses on pasture-raised beef, pork and eggs to provide the community with “good, clean food with flavor.” Chase recognizes the need to maintain healthy and natural food systems. “One of the things we’re really proud of here is getting people back to the farm, where food is grown. It’s an open-door policy and we have nothing to hide,” Chase notes. Additionally, Sugar Grove is working with a university in Ohio to measure and evaluate the interactions between chickens and soil. Chase enjoys working to make an impact by creating something that can last for generations. 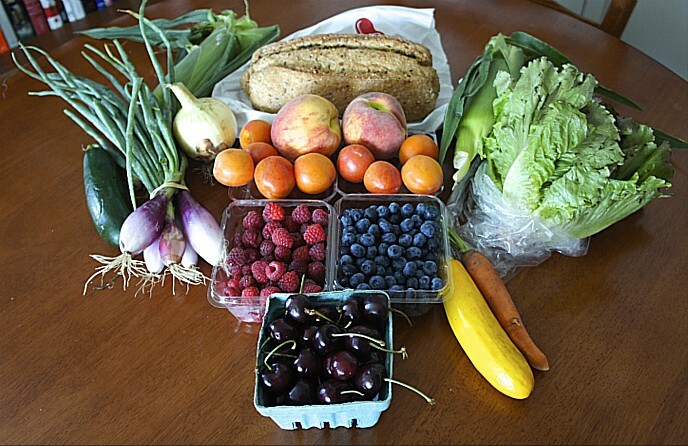 This entry was posted in Family Farms, Farm businesses, Food Entrepreneurs, Good Food Festivals, Growing Young Farmers, Livestock farming, Small Farmers, Young farmers and tagged Angelic Organics Learning Center, average age of farmers in U.S., B.S.S.R. Youth Center, Beginning Farmer of the Year Award, Bryant Family Farms, CHJ Umoja Family Gardens, FamilyFarmed, Fooditor, Good Food Festival, Good Food Festival & Conference, Good Food Financing &Innovation Conference, Good Food Trade Show & Policy Conference, Growing Young Farmers, need for young farmers, Pembroke Farming Family, Routes to Farm, Sugar Grove Farms, Upper Midwest CRAFT, Wishful Acres Farm & Brewery. Bookmark the permalink. 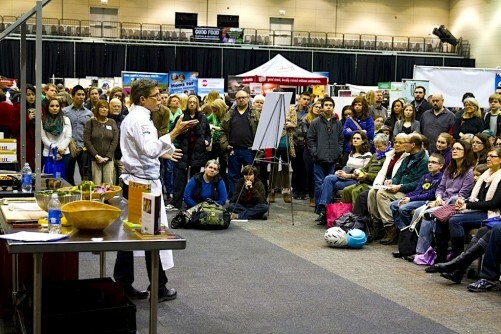 ← FamilyFarmed Conference To Explore: Does Good Food = Local Food?